Question: How Much Motorcycle Insurance Should I Carry? Below is an email we recently received from a biker regarding motorcycle insurance. He wanted to know how much insurance you should carry. The short answer is, as much Uninsured Coverage as possible! What amount of motorcycle insurance coverage would you recommend? Thanks for your short, but very important, question. 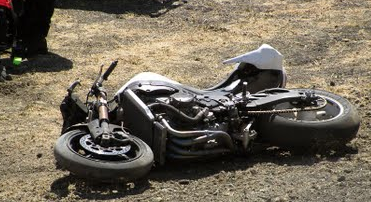 Depending on the value of your motorcycle, you may want to carry comprehensive and/or collision coverage. 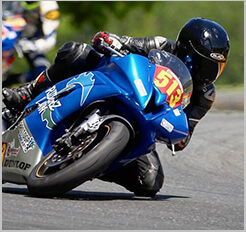 These are discussed on our Motorcycle Insurance Basics page. The most important aspect of your insurance policy is the amount of liability and uninsured motorist coverage. While comprehensive and collision protect against damage to your motorcycle, liability insurance covers you if you injure someone else (like a passenger, pedestrian, or other driver) while riding your motorcycle. Perhaps even more important is uninsured motorist coverage (also known as UM or UMI). UMI protects you if you are injured by another driver while riding your motorcycle, and he or she does not carry any (or enough) insurance to pay for your injuries. We recommend getting the maximum uninsured coverage available. Otherwise, if someone hits you while riding, you can be left with tens or hundreds of thousands of dollars in medical bills for an accident that wasn't even your fault. Don't depend on your health insurance to cover these costs. Often, health insurance will only cover a small percentage of medical bills incurred, and they never pay you for pain and suffering or for missing time at work. Uninsured motorist insurance does! I recommend that every rider to carry at least $100,000 in uninsured coverage. (This is often referred to as two numbers, like "100/300" — which would mean $100k per person and $300k per accident. Remember, if you are injured, it is the first number that determines the amount the insurance company will pay, because you are only one person. Get it? If you have a passenger, then each of you would be entitled to up to 100k in a 100/300 policy.) It isn't very expensive, especially when you consider what you are getting for your money. If you get the minimum amount offered ($15k in California, for example) you can spend that on your way to the hospital. When I was in law school in San Francisco, an uninsured motorist made an illegal left turn and hit my motorcycle, sending me flying, and then to the hospital via ambulance. When all was said and done, I owed the hospital tens of thousands of dollars for a few torn ligaments. Why? Because the driver who hit me was uninsured, I carried only 15,000 in uninsured coverage, and my health insurance covered only half my bills. A though lesson to learn. If you need the short version, here it is: Get as much UMI (uninsured motorist insurance) coverage as possible, and at least $100,000 per person, i.e., "100/200" or "100/300". In California, more than 25% of drivers are uninsured, and many more have the absolute minimum insurance required. Which means that if your insurance doesn't cover you, you may be out of luck! Thanks for your question — we're always glad to help.